Getting married is a most important step in life and we look forward to helping you prepare for your marriage. We offer preparation mornings to which we invite couples who have booked their wedding with us. Clergy also meet with each couple on other occasions to plan the service with you. 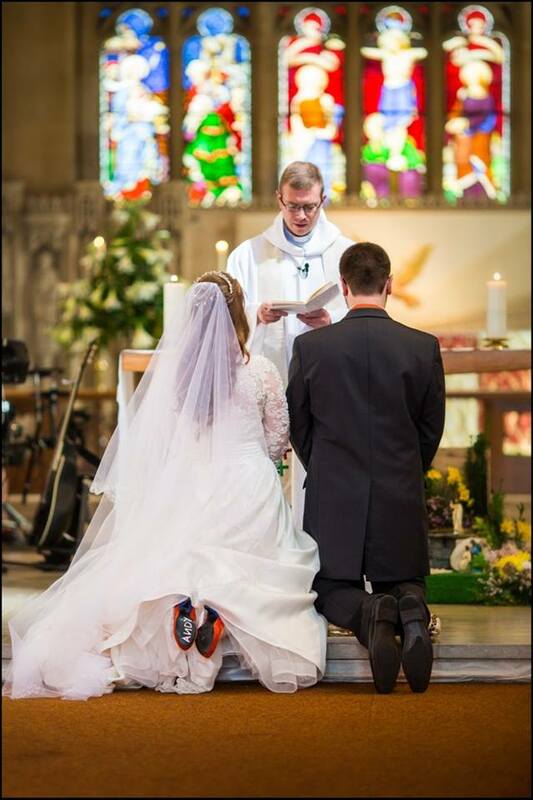 Getting married in Church is one way we recognize the special importance of the day. This is not only because the Church is a beautiful building (although it is that, for it was built for the glory of God): there’s much more to it than that. A Church service reflects both the solemn and the joyful aspects of your wedding day. Here we recognise that God himself is involved in building a lasting marriage. He cares for us all, and he wants your marriage to be a success. We are all His children, and He loves us and, like any good parent, He knows what we are really like and what will make us happy. We are always very happy to marry anyone who is eligible to be married here. (iii) be a member of our Church Electoral Roll (this is open to anyone who is baptized, is a regular attender at this Church), and has been so for a minimum of six months. Being divorced is no longer a bar as such to getting marriage in Church. There are, though, still some restrictions in certain cases. A member of the clergy will be pleased to talk to you about this, and explain more about it if you wish. To book your wedding at any of the churches in the team or to arrange for Banns to be read please contact the Team Office.